Hey you, get off my patch! Ha ha! How funny!! I thought this was a mirror image for a moment but then I saw the foot!!! Bossy little blighter isn't he. What a great shot. quite a tussle, great find! A super find and capture of what I would think is squabbling siblings !! Fab and a fav ! ha, love the legs spread out and pushing. Terrific comp on these great birds! Fav! Great shot and timing. Love this. Great capture of these funny looking birds. I think every time I hear someone say "why can't we get along like the birds do?" I'll mention this picture. Look at him pushing the other one off the stem! Great catch. 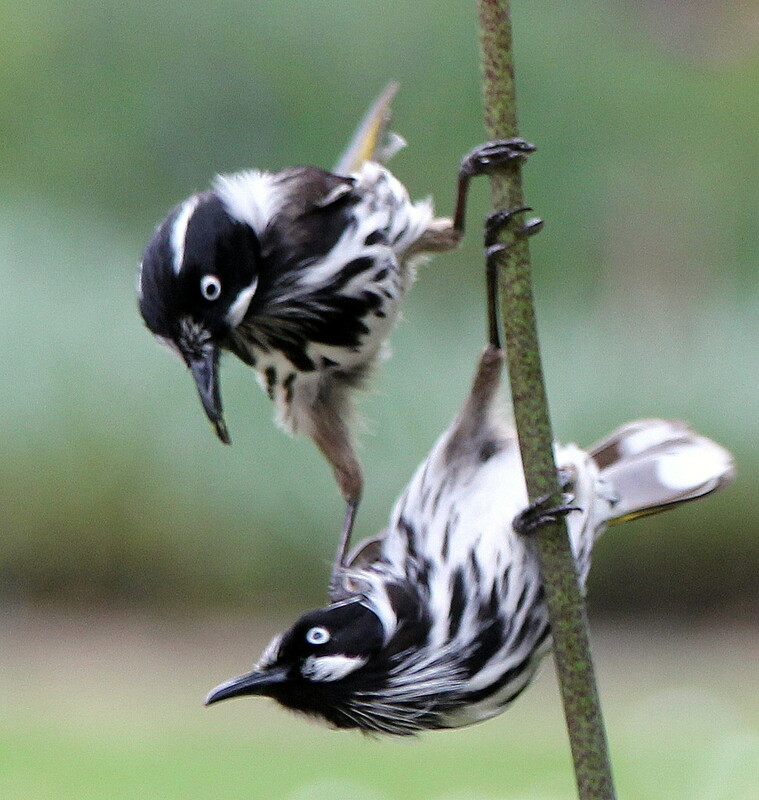 Honeyeater boxing match. Great shot.